For the penultimate time we can present you the predictions for the regular summer split of the LCS Season 8. Patch 8.15 is moving to the LCS and we could see even more ADCs again as carry-items have been significantly gold reduced. In Europe Fnatic has now reached the same level in the standings as the Misfits. After two surprising defeats, the former solo favourite now has to fight again for his split-table victory. Even in the lower ranks, it remains open who can qualify for the playoffs. Splyce, Roccat and Giants – we will only see one team in the playoffs again. Not to forget the sensational news of week 7: H2K has won! Splyce, of all people, was the unlucky one in the split and lost to the team we all thought to be dead in this summer split. We will see how the table forms in the week before the last one, only to probably be surprised again in week 9. The incentive is great, because it is about precious championship points for the LoL World Championship 2018 (LoL Worlds). Nobody should miss the first game in North America, the livestream starts on August 10th at 18:00 CEST. In week 8 Fnatic has the chance to win twice. In the second half of the split, FNC will play Giants and Splyce. Misfits also has an easy draw on day 1 against H2K, but will have to make every effort not to fall behind Fnatic in the top game of week 8 (day 2) against G2. Speaking of H2K: The poor team have to play against Team Vitality and the Misfits, two split favourites against the probably relegated team of the summer split. However, we expect exciting encounters. No roster changes known for Week 8 of the EU LCS Spring Split 2018. Betting Odds Comparison* Do you know who will win? All major betting sites are already providing bets and odds for the upcoming matches of Week 8 of the EU LCS 2018 Summer Split, furthermore you can also bet your money on the overall winner of the Summer season. As always you will find a comparison of the most important League of Legends bets and betting odds of our renowned eSports betting providers right here. The betting odds listed below are always subject to change, just take a look at our LoL LCS 2018 betting odds site or follow the links to the betting sites for up-to-date information. Roccat encounters Splyce Gaming. The Roccats suffered two defeats in week 7, both games against S04 and Giants were clearly attributable to their opponents. Splyce currently one victory ahead in the standings, was at least able to secure a win against the Unicorns of Love in the opening game of week 7. Both teams are fighting for their participation in the playoffs and will not take any risks in a Bo1-Game. Since Splyce is playing against Fnatic in the second game of week 8, they have to score points against Roccat, or it could be tight at the end. Although it is anything but clear, i would bet on a 0:1 victory for Splyce. The encounter of the evening between H2K and the Misfits will probably be the easiest for the prediction. Nevertheless, everyone who has not seen the game H2K against Splyce in week 7 is probably wondering what happened… H2K went into the match with Gnar-Trundle-Azir-Swain and Alistar. The expected picture appeared and H2K fell back for the first 15 minutes. H2K-Sheriff and Promisq on the bot had an ugly early game against Ezrael and Pyke on the opponent side. The question remains anyway, it was it a good game of H2K or a bad one of Splyce. Both! – is my explanation. H2K has proven that despite many mistakes they have not forgotten the continuity of winning a game. Regarding the relegation tournament I wish the H2K to stay in the lcs, due to good performance in the Spring Split. Nevertheless, the match will end clearly and I bet on a clear 0:1 victory for the Misfits. The close out of the day match is played by the Unicorns of Love and G2 Esports. Never say never, but I estimate the chances of the Unicorns of Love still be able to participating in the playoffs as very unlikely. For G2 Esports, on the other hand, it's time to make up Championship points and don´t give precious victories away. In the second game of week 7 they lost in a real stomp against FNC. Despite a gold advantage, the G2 coach watched how his team was crushed by FNC-Bwipo on Vladimir and FNC-Caps on Yasuo. With 9 victories in the counter, however, everything is still open and the team will now not let a chance pass up to win. I estimate a 0:1 for G2 Esport! Fnatic encounters Giants Gaming. Giants managed to ruin the Misfits' weekend. Giants denied the misfits the victory, about they were quite sure to achieve. GIA-Steelback and SirNukesAlot presented an excellent botlane. Turning to Fnatic: This team is the best one in the split, yes. But why are always victories given away in kind of lousy games, as in week 7 against Team Vitality. Fnatic clearly lost the draft, because they left solid lane-picks to their opponent and despite a Nocturne/Galio Combo, they couldn't build up pressure. Paired with some misplays of FNC-Caps and occasional “team-overstays” the defeat was inevitable. Anyway, the problems will be solved until the weekend and now the team will give everything in the penultimate week of play. I bet on a clear 1-0 victory for Fnatic. Schalke04 encounters Team Vitality. In the previous week Schalke04 could shine on both days. On day one they defeated the Roccats and on day two they managed the unthinkable – match favourite Misfits was defeated. Thus Schalke surprisingly catapulted himself to third place and is on the same level in the standings with the Vitalities and also G2 Esports. Because Schalke ended on the 8th place in the Spring Split and could not participate in the playoffs, they urgently need a high ranking to still have a chance at the Lol Worlds with either Playoffs or championship points. I feel somehow that this is one of the most exciting final weeks and that there will be surprises until the last day of the regular split. It is the third week of VIT- Mateusz “Kikis” Szkudlarek and he does a very good job so far, in which he gives back the missing aggression to the team. In the game against the Fnatics, he was almost everywhere at the right time and kept the overview even in chaotic tight team fights. Also the last criticized mistakes of VIT-Jizuke have become less and he also showed solid games, even if he doesn't get Galio. It's going to be a very close game. I still bet on a strong performance by Vitalities and thus for a 0:1 for Team Vitality. Team Vitality encounters H2K Gaming as the opening game of the second matchday. The last match between the two opponents was more than a month ago in the fourth week of play. In 26 minutes the Vitalities could spill H2K off the LCS stage in Berlin. H2K could only beat one tower before they were rolled over. At that time still start player VIT-Gilius was playing and he got one of his favorite champions – Trundle. It was not a star-show, but in my opinion he delivered a solid game. Still the roaster change to VIT-Kikis was a right decision and now needs also encounter like this easy one against H2K, it gives the team one more match to practice also the Teamplays. The game VIT vs. H2K will clearly go to Team Vitality and I bet on a 1:0 victory for Team Vitality! The second encounter on day 2 is between the Unicorns of Love and the Roccats. Also in week 4 the two teams separated with a victory for the Roccats. In a 33 minutes game the Unicorns managed to inspire us until the end, we remember the successful Baron-Contest of the unicorns with almost 8k gold residue for them. Unfortunately, this only gave them more time to breathe for a few minutes and ROC-Profit (Dr. Mundo) and ROC-Memento (Camille) were bursting everything down, even against the Baron-Buff. Also ROC-Norskeren showed us with Pyke for the first time the LCS potential of the initially underestimated new support champion. I don't think the Unicorns can still pull themselves together for the upcoming summer playoffs. I'm betting a 1-0 win for the Roccats. FC Schalke 04 encounters Giants Gaming. Both teams remember the last encounter in week 4 very well, with a victory for Schalke. For all spectators who have always considered trying Kai´sa, I strongly recommend to watch this game as a training video. Giants was ahead until the minute 30 with the superior Botlane GIA-Steelback and SirNukesAlot – until Kai´sa was literally “popping off”. At the end the counter of S04-Nukeduck showed 12/1/2 and you could only see the champ flying from one Giants to the next. 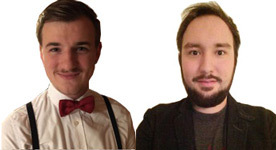 The analyst desk couldn't get out of the laugh about how quickly the opponents melted through the Kai´sa burst. Also in week 8 Schalke performed very well and that astonishing ambition can't be stopped by Giants. Therefore I bet on a 1:0 victory for FC Schalke 04! On the MSF side, Mundo, Sejuani, Yasuo, Xayah and Rakan played against a G2 – Gangplank, Kindred, Zoe, Ziggs and Tahm Kench. The Misfits consciously chose the Xayah/Rakan Botlane in the pick and ban phase, as a lot of CC would be necessary to have a chance to “reach something” at all. In the end G2 played their lane cleverly, so MSF couldn't do much. The problem was rather G2-Jankos, who got involved again and again in fights in the topside-jungle or was invaded. Despite double TP and Gangplank's ultimate ability, G2 did not manage to zone the misfits. G2 gave away too much gold in the late midgame and couldn't get into the late game, which they would have won with their lineup (#”Critplank”). But now this match will take place under patch 8.15 and I expect a classic Botlane. G2 – Petter “Hjarnan” Freyschuss (adc) has already proven his carry potential on Ezrael and Lucian several times. G2 – Marcin “Jankos” Jankowski (Jungler) has only been playing for G2 (previously H2K) since Season 8 and hasn't proved to me yet that he has fully integrated. I want more continuity from the young Jungler. On the side of the Misfits there were also unexpected problems in week 7 – we remember the suicides of MSF-Maxlore and -Mykiyx, the latter lost a botlane that was actually superior in terms of matchup because of stupid suicides. It's not a easy decision, but I'm betting on a 1-0 victory for G2 Esports! The last encounter of the evening will be Fnatic vs. Splyce. 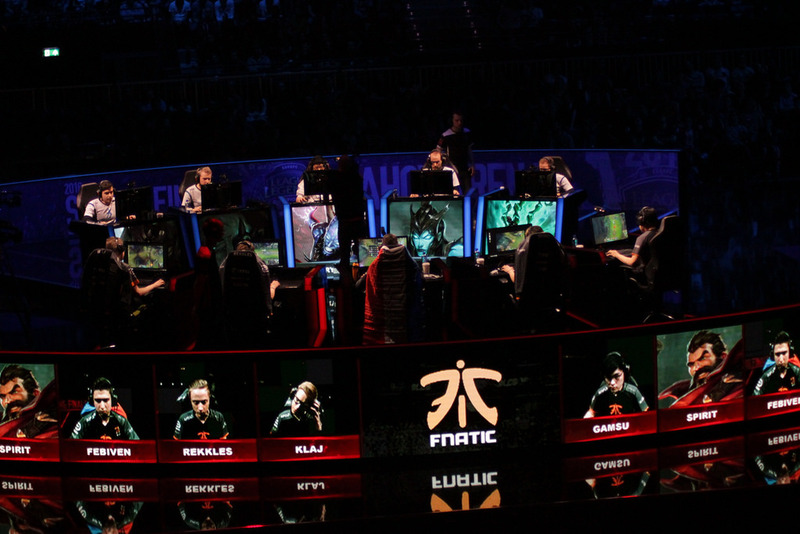 In week four, the two rivals split up with a win for Fnatic. But both teams really need the victories. Fnatic wants to sit on the first place in the regular Summer Split table to secure the Championship points as a backup. Splyce has to be careful that the team is not overtaken by the Roccats in week 9 and loses his participation in the playoffs. Sure, Splyce has a chance against Fnatic and a Bo1 can always come with surprises, but Fnatic still leads the way in this encounter. So I bet on a 1-0 victory for Fnatic!